It’s hard to remember a time when I wasn’t a big reader. When I was little, I would glance nervously between my book and my alarm clock, flipping the pages faster as my bedtime approached. When it did, I’d tiptoe down the stairs to ask my parents for fifteen more minutes, which would inevitably turn into another fifteen minutes. And another. When it was finally time to turn out the lights, I would lie on my stomach in front of my bedroom door, yawning as I read just a few more pages in the wedge of light from the hallway. I was also obsessed with animals as a kid. I loved nothing more than our family dog, wished desperately for a horse of my own, and was determined to be a vet when I grew up (this was before I took biology in high school, where I had to dissect a frog, and quickly realized it wasn’t meant to be). So most of the books I gravitated toward were about horses: The Black Stallion, The Saddle Club, the Thoroughbred series, and so many more. I devoured those books at an alarming rate, and spent hours hanging out at the children’s section of the library, hoping that a new one might appear on the shelves. The first time I remember sobbing–truly sobbing–over a book was when I read The Wild Mustang by Joanna Campbell, which is now (sadly) out of print. Honestly, I don’t even remember the particulars of the story, just the emotion I felt while reading it. Something about that experience flipped a switch in me. I’m generally a pretty upbeat person and I’ve been lucky enough to lead a fairly happy life. But to this day, I have a deep love for books that make me cry. I don’t know what it is. There’s something cathartic about it, certainly, but it’s more than that too. When you fall under the spell of a book like that, it moves something in you. It changes you. And, perhaps most importantly, it stays with you. I realized this early on: certain books last longer than others. By the time I decided I wanted to be a writer, that became the goal for me too: to write stories that might have that kind of effect on readers. 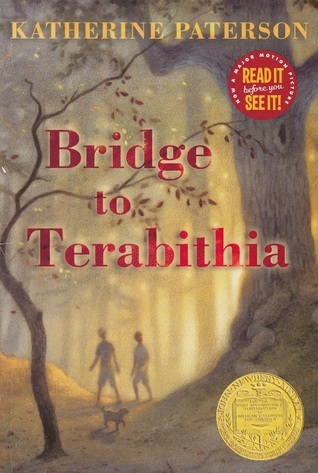 So, it might not come as a surprise that the books that have stuck with me the longest, the ones that have shaped me the most as both a reader and a writer, are these: Where the Red Fern Grows, Tuck Everlasting, and Bridge to Terabithia. Based on that list, I always worry people are going to think I was really depressed as a kid (I wasn’t!) (I swear! ), but the truth is just that I’ve always loved stories that are sad and sweet and full of heart. Those three novels–read at different times and in different grades–got under my skin in a way that I’d never experienced before. 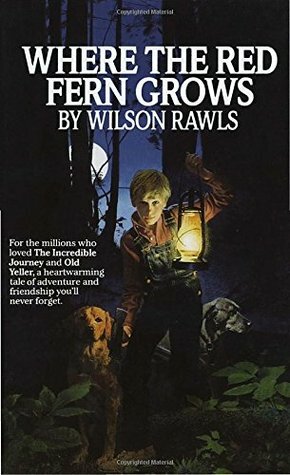 I remember sitting at my desk in sixth grade as our teacher read us the final chapter of Where the Red Fern Grows, biting the inside of my cheek so that I wouldn’t cry in front of my classmates. Afterwards, I went home and sobbed over the fates of Old Dan and Little Ann as if I’d raised them up from pups myself. That was how immediate that book felt to me. That was how personal. All these years later, I still carry them with me: the magical wooded kingdom of Terabithia, those nighttime hunts through the Ozarks with two baying dogs, and that bold and fearless little frog on the road in Tuck Everlasting. It’s hard to explain why, other than to say, why does any book stay with you? To me, that’s one of the most compelling things about reading, the way every story hits every person differently. The same book that changed someone else’s life might be one that I couldn’t even finish. 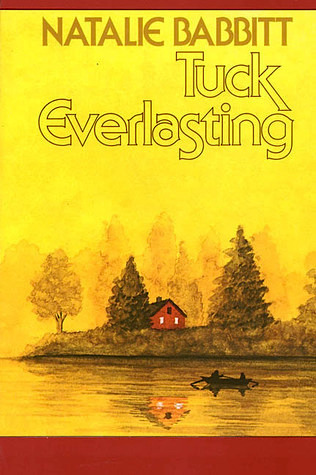 The book that I still read every year because I love it so much might be something that another person can’t remember at all. I’m not sure what draws us to certain stories, or what makes a particular book stick with us long after we’ve read it. I suppose it’s some strange mix of alchemy and experience, personal taste and bookish magic. You have yours, I have a mine, and we’re all very lucky that we do. Jennifer E. Smith is the author of Hello, Goodbye, and Everything In Between (2015), The Geography of You and Me (2014), and This Is What Happy Looks Like (2013). 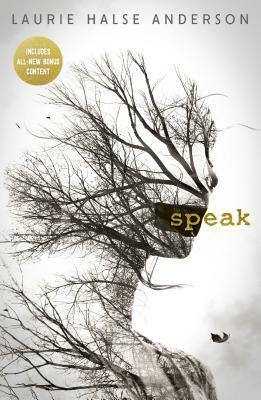 She earned a master's degree in creative writing from the University of St. Andrews in Scotland, and her work has been translated into thirty-two languages. She currently lives in New York City.